Also available in a version for extract air. The SWIFT C air diffuser has a perforated swirl pattern that enables discharge of air below room temperature and variable airflows. The swirling air discharge also makes a rapid reduction in air velocity that results in short throw length. 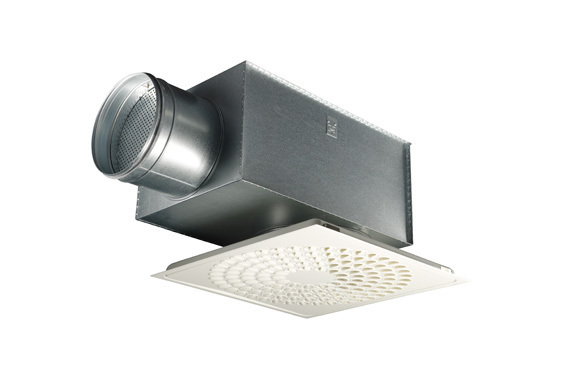 The square SWIFT ceiling air diffuser consists of a backing box and a diffuser face. The diffuser face has perforations designed for discharging high airflows. The diffuser face is hung on hinges on one side and is secured by springs on the opposite side. This Quick Access fastening system makes it simpler and quicker to open and close the diffuser face for installation, commissioning and cleaning.